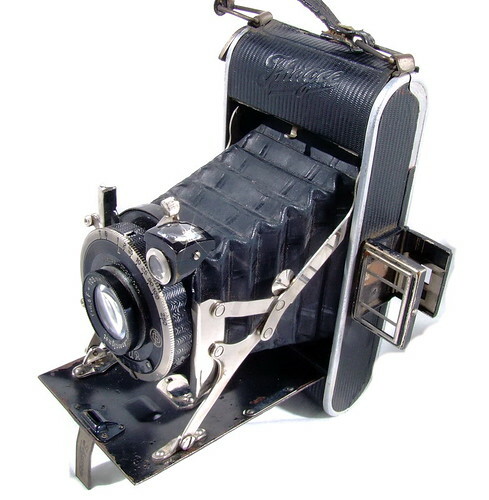 Ihagee Zweiformat-Auto-Ultrix was manufactured by Ihagee Kamerawerk, Steenbergen & Co., Dresden, Germany. 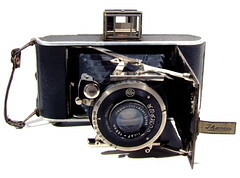 It was in a broad range of folding cameras with the name Ultrix before WW2. All Ultrix series produced between 1922-39. 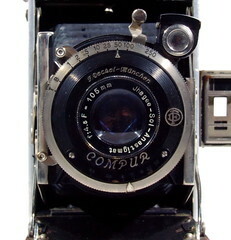 Ihagee Kamerawerk is well known due to the famous Exakta cameras. Too many varieties of lenses and shutters were used on Ultrix series. The shutters usually from Gauthier, like the Ibsor, Vario, Pronto and Prontor. 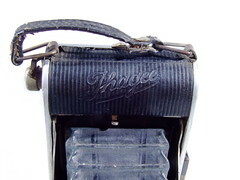 The lenses labelled Ihagee Anastigmat. But Ihagee never made any lenses of their own, they were all bought from several lens makers. It is possible that the glasses may have been mounted by Ihagee. Ihagee folders seem to have died with the WW2 and have been forgotten, even among Exakta collectors.